Mix the flour, rice flour, baking powder and salt well in a bowl. Beat the water and egg into the flour mixture until batter is smooth. Set batter aside to rest for anywhere from 15 minutes to an hour. Heat the oil in a deep skillet or deep fryer to between 350° and 375°. Working in batches, using a fork to dip pieces of banana in batter to cover. 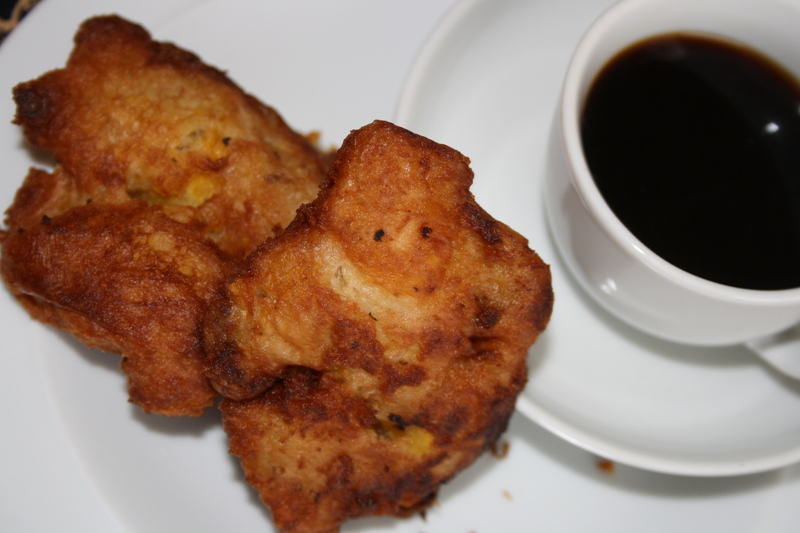 Let any excess batter drip off and drop in the hot oil to deep fry, turning until well browned on all sides.